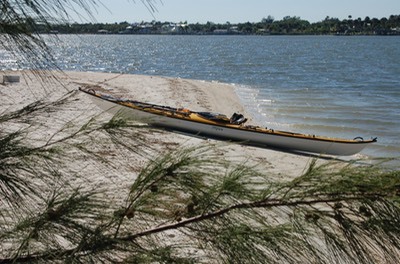 You may believe from the other videos and postings on my website that I am somewhat obsessed with finding a way to carry fresh water in a kayak for an extended trip. That's not far from the truth. The best bags (MSR Dromedary Bags) leave an unpleasant plastic water hose taste in the water. 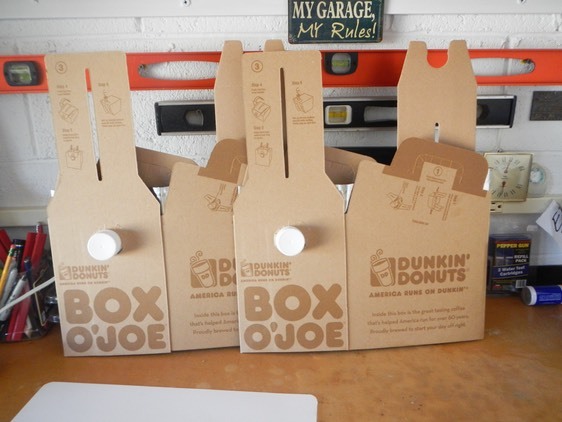 This blog and video shows how to make an inexpensive bag for carrying water in a kayak from the bladder in a Dunkin' Donuts "Box O' Joe". The video below uses his ideas with a few small elaborations of my own. As the clerk at my local Dinkin' Donuts said, "This is literally thinking outside the box!" To get started, go to your local Dunkin' Donuts and ask to talk to the manager. That's because if you tell the counter clerk that you want to buy two Box O' Joe boxes, without the Joe, you'll get a blank stare. Ask to see the manager. 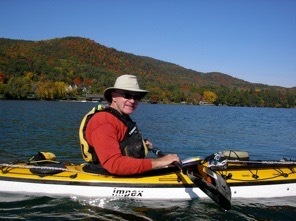 Explain that you want to use the clean bladders to carry water on a kayak trip. That way the manager will know that you are not going to pour your own coffee into the boxes and try to pass it off as theirs. The manager will find a way to sell you the boxes for about $2.50 each. When you get the boxes home, rip the cardboard open, don't cut it. That way you will not chance puncturing the bladder before you get to use it! The bladder will be glued to the box front and back with a rubber cement type of glue. Work the bladder loose carefully, then slowly rub the remaining cement off of the bladder. You can stop at this point. You will find that the bladder is composed of two layers; silver mylar on the outside and a clear plastic liner on the inside. It will hold about four liters or one gallon of clean tasting water. I went one step further and found a dry bag that the water bladder would fit into. This gives the bag more protection from puncture inside the kayak's hatch and keeps any potential leakage inside the bag.